This daily care enriched myrtacine ® and vitamin PP helps reduce inflamed pimples and soothes irritated by the anti-acne medication topical treatments. This daily skin care helps reduce inflamed spots after 7 days, thanks to Myrtacine New Generation's revolutionary antibacterial activity combined with soothing vitamin PP. 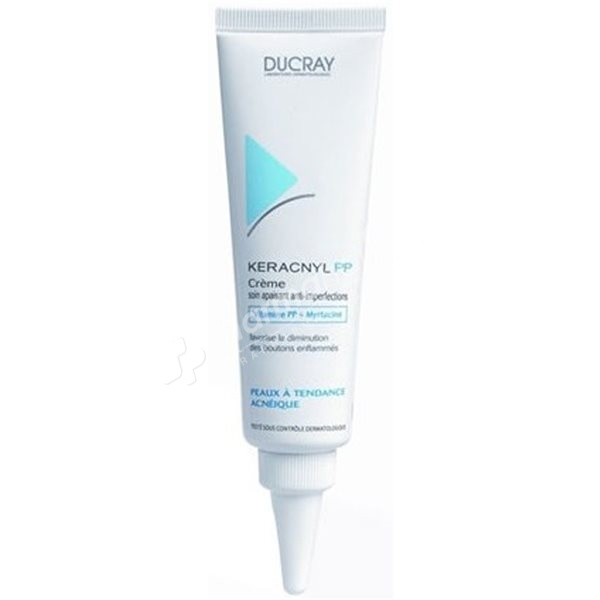 This product reduces stubborn marks and soothes irritation induced by topical anti-acne medicinal treatments. Can be used along with various topical medicinal treatments (tolerance tested in combination). Excellent make-up base. Paraben-free, AHA-free, fragrance-free, hypoallergenic, non-comedogenic.